We are so close to summer so what better way to celebrate than to take a look at some of the best places to grab a cocktail, unwind and take in the views from a perfect rooftop location as they start to open for the season. If you are looking for a well-stocked bar with a stunning infinity pool – then you have landed at the right place. This hotel oozes style so you’ll be sure to get the perfect photo opportunity. 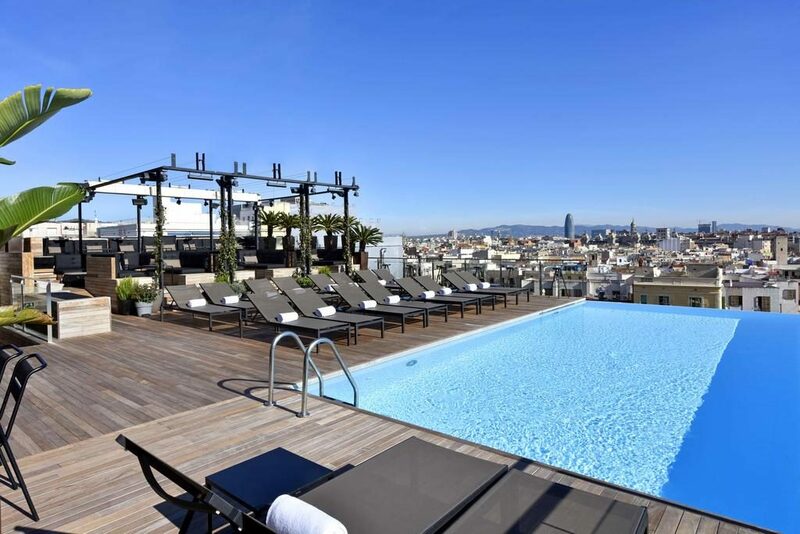 At 9pm the sun loungers get whisked away and a full restaurant is laid out where you can enjoy a 3 course set menu looking over the El Born neighbourhood of Barcelona. 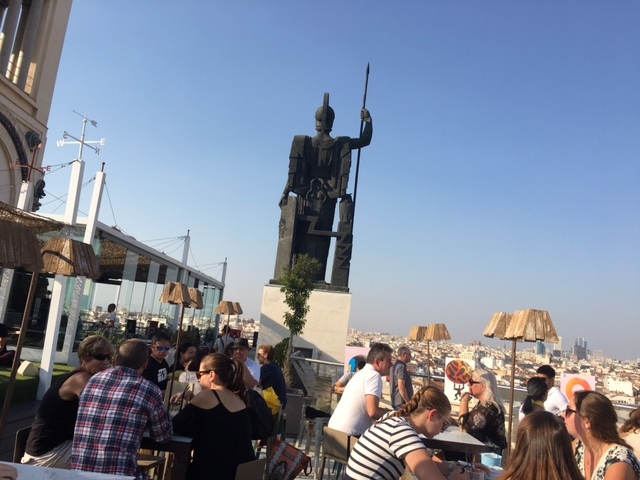 Situated on the top of a Spanish art museum and hidden from passers-by on the street The Azotea is towering high with uninterrupted 360 degree views of Madrid. It’s the perfect spot to chill in the daytime heat or enjoy a beautiful sunset. It also serves light snacks throughout the day and has a more formal restaurant if you are looking for something more substantial. 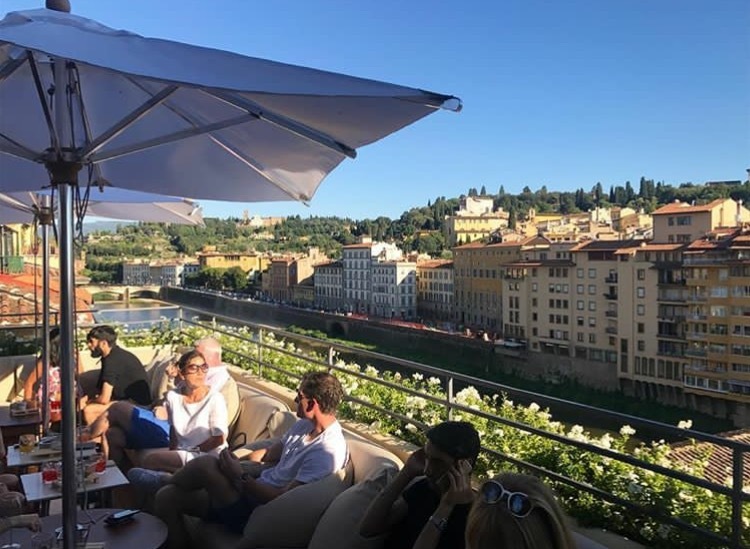 Above the busting busy streets of Florence, looking over the beautiful Ponte Vecchio bridge and Arno River you will find yourself at La Terrazza located in the upmarket Hotel Continentale. With an extensive cocktail and wine list you’ll be spoilt for choice. Be sure to arrive early to ensure that you can get a table – it gets extremely busy and its quite small. 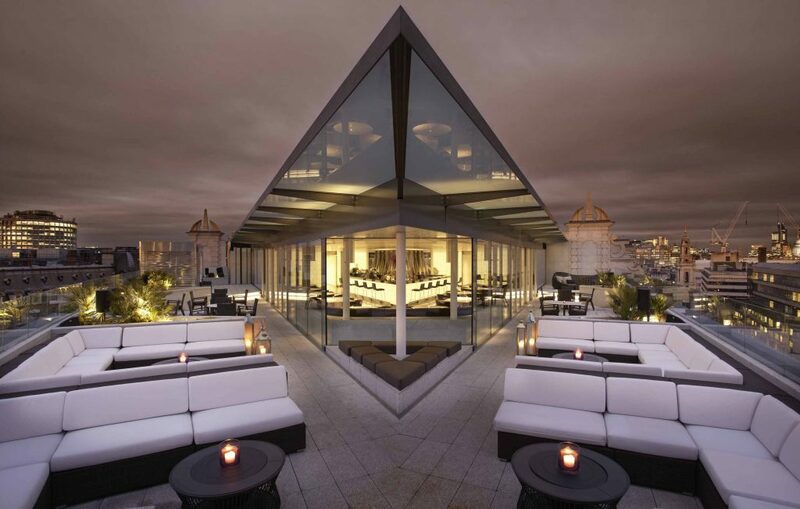 One of the best rooftop bars in the city so it’s worth waiting for. After walking through the stunning ME Hotel to get to the lift it’s no surprise that when the it opens at the top it’s just as stunning! From the slick modern décor to the lavish cocktails this busy bar is not one to be missed. Ideal for pre-dinner drinks or simply to just take in the view with a glass of fizz. Located in London’s West End, making it the perfect addition to a theatre trip. If you are looking for those Portugease blue and white tiles combined with view – then you’re in luck! 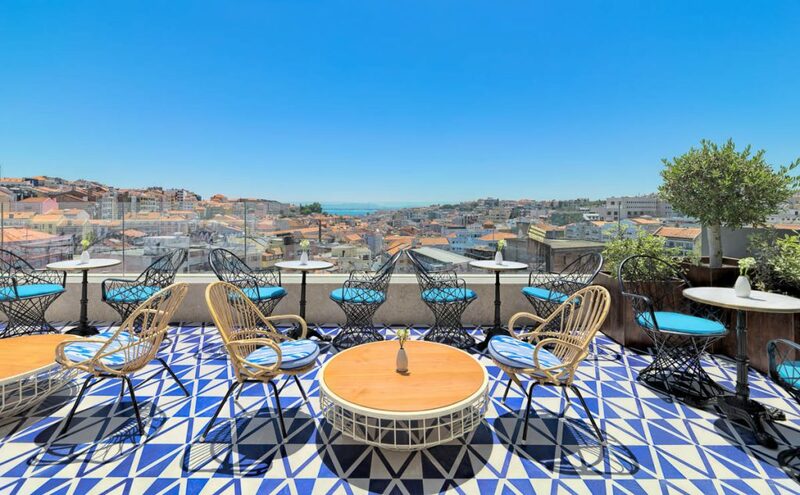 This little bar is located on the 10th floor of the H10 Duque de Loule hotel and serves the perfect views of Lisbon. This is the ideal place to unwind after a busy day sightseeing in the heat. To find out more about any of these amazing summer locations or to get a quote give us a call on 0131 243 8098 or request a tailor-made one online.